I know it might sound like the very early 2000s (I promise it’s not) but MySpace is trying to make a comeback in the social media market. While this is not the first reboot, it does look to be a more promising attempt than past efforts to rebrand the once relevant social media platform. The new site, which can be previewed already, does have a sleeker look, and is being rebranded as more of a hangout for creative types. The question is will it work? MySpace had a strong following around a decade or so ago, but in the recent years has suffered a huge loss in membership activity. Due to the rising success of Facebook (which has ironically become a lot like MySpace, flaws and all) MySpace suffered at the hand of other social media platforms. It couldn't directly compete with Facebook’s popularity, yet offered nothing unique that users could gather around like Twitter, Instagram, or any other newer social platform. With that said, is a facelift the only thing this plagued brand needs? Let’s be honest and admit that, yeah, some of MySpace’s problems comes from a terrible, cluttered design and profile page (again, ironically copied by Facebook, to the latter company’s success). MySpace had problems with usability, but it also lacked in profile controls and other limited protections actually granted by Facebook. Anyone could join, just about anyone could send you messages and view your photos, though later that was remedied. The fact is, MySpace was overrun by creepers at a time when Facebook still only granted limited access to the social networking site. As MySpace died down, Facebook incorporated those same models, but was at that point the more successful and relevant site. Therefore it stood the test of time. So what about the rebranding? 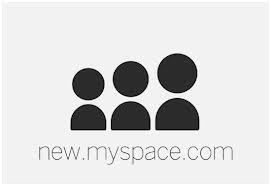 MySpace mentioned that it will be more geared to a creative audience like musicians, filmmakers, photographers, etc. The truth is, however, that MySpace had a decent pull with these folks. Musicians had pages showcasing their music, visual artists could use the photo capabilities, and more. Regardless, MySpace kept dropping off. Not to mention that is you want to help your brand grow, don’t market yourself to your only surviving members. So is this move really going to save MySpace? Unfortunately, MySpace still is going to be plagued with the fact that they are not going to be offering anything unique. The only thing it offers will appeal to those that still use the platform. With the ever-increasing popularity of Facebook, MySpace doesn’t stand a great chance of coming back into the market. You can remedy all of the flaws of Facebook but users will still be brand loyal. It’s why we complain about Facebook... on our Facebook walls. Users continue to return to a platform they claim to hate because the old Zuck has it all figured out. Hopefully this move will get some traction to MySpace though. It would be nice to see a some, no matter how little, competition in the social networking market. Not to mention, it would be nice for Tom to make some new friends. Peter Margolis is a social media blogger and content creator for Direct Satellite TV. He often writes about entertainment and emerging social media trends.